Food safety has been a huge concern in China as of late. 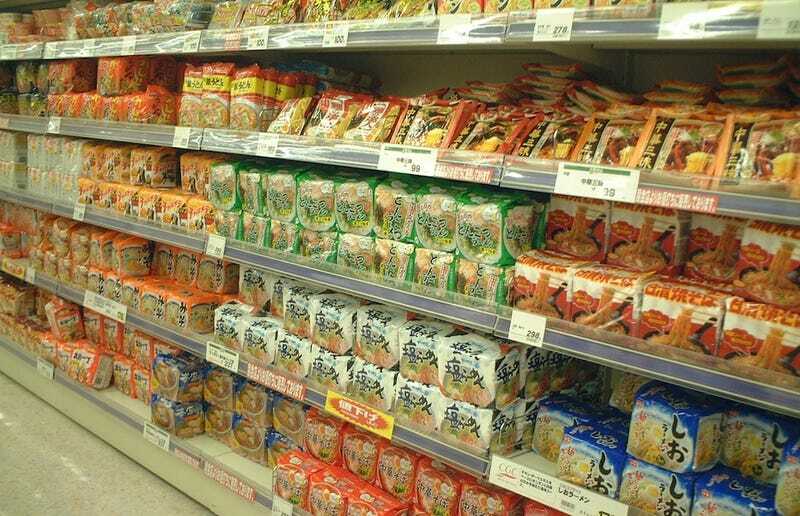 Ever since the melamine dairy scandal broke in 2008, Chinese people have been on the up and up on food safety, so much so that China has even rejected 6 brands of Korean made instant noodles due to allegations that the noodles have carcinogens. However food safety isn't enough, as a young Chinese college student has come down with stomach cancer over, apparently her lifestyle choice of being a gamer. The 20 year-old college student had developed stomach cancer due to her poor dietary habits, habits supposedly developed because of her love for video games. According to the director of Gastrointestinal Surgery in Hubei Provincial Tumor Hospital, Wei Shaozhong, the young lady developed stomach cancer from pulling all nighters and eating junk food. According to Wei, the majority of what the young lady consumed was instant noodles, Chinese barbecue, and cookies, often times not eating any rice. After developing pain in her gut, the student, under the urging of her parents, sought out medical help, but by this time she had already developed cancer. According to her physician (is there no doctor patient confidentiality in China? ), the student would play online games and surf the net all night, and would only indulge food when she was hungry. Because she was up at late hours the only type of food presented to her was junk food resulting in her stomach cancer. This is all well and good, but the Chinese doctor failed to truly link the student's cancer with her love for video games, in fact, all he really did was showing that young people make bad decisions and have poor dietary habits. Wei however does impart one piece of good advice to late night Chinese gamers; he says it's best not to eat street barbecue, particularly when the meat is burnt, as eating burnt meat can lead to a higher intake of benzopyrene, which supposedly can cause cancer. There's no word on the student's well-being, however, I for one hope that she is well, considering I play games into the wee hours of the night and eat instant noodles by the case load. I'm a journalist, I'm poor, sue me.